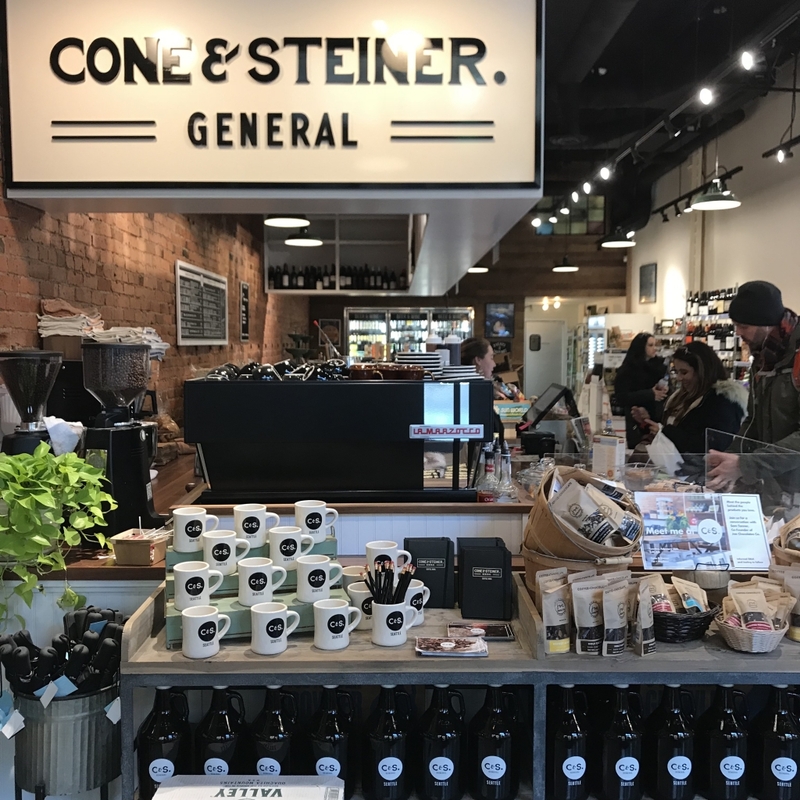 At Cone & Steiner, Dani Cone puts a modern twist on her great-grandfather’s general store from 1915. Her neighborhood stores are one stop shops for local and specialty goods, as well as spaces for people to gather and connect whether over coffee, a made-to-order sandwich, or happy hour. On first encounter with Dani Cone, you instantly want to be her friend. And here’s the thing: she wants to be your friend too. 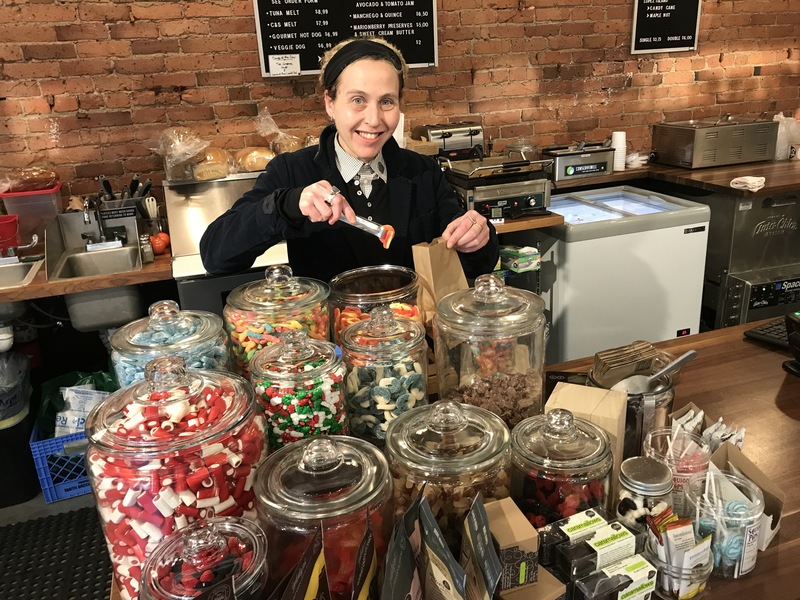 Exuding compassion, determination, and a witty sense of humor, Dani Cone clearly cares about the community she welcomes into her re-imagined convenience store, Cone & Steiner. Dani enjoys building community on “all sides of the counter,” bringing together customers, staff, and producers of the local products she sells. She loves the moments when customers delight in finding a new product or reconnecting with an old memory. “It goes so much beyond product and service,“ said Dani. Her goal is for people to walk into a Cone & Steiner and see a little bit of themselves and a little bit of the community reflected on the surrounding shelves. Dani loves candy. 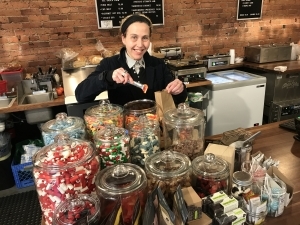 Walking into Cone & Steiner, customers can delight in the variety of colorful candies. Hint: Charming customers have been rewarded with a free sample (or two).